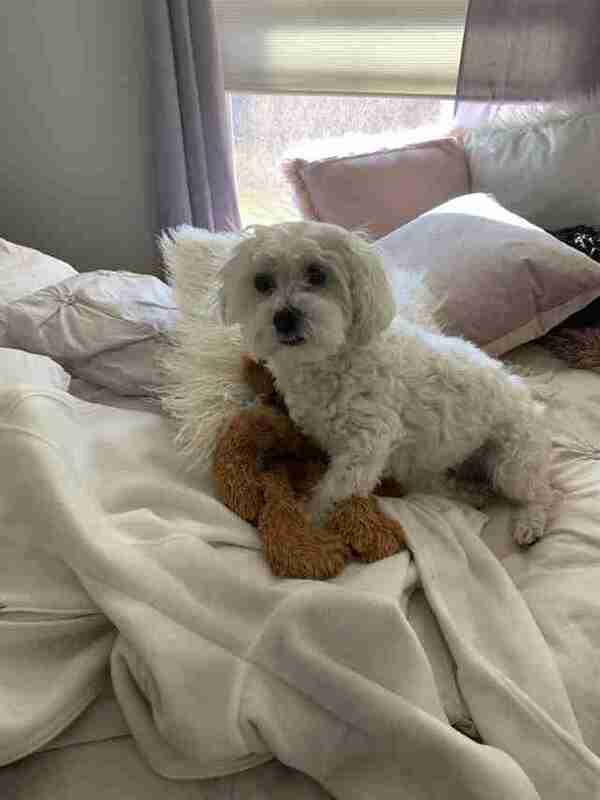 "I found a slight pulse ..."
For the past six years, Lucky and his stuffed bear have been downright inseparable. Even as the cherished toy has undergone certain changes with age, the sweet dog has still loved it all the same. "It has no stuffing left in it anymore and it goes everywhere with him," Michaella Wallace, Lucky's owner, told The Dodo. "He plays with it at all times. He protects it like it’s his own baby." But recently, near-tragedy threatened to end the good thing Lucky and his bear have going. One night this week, Lucky was let outside to go to the bathroom ahead of an incoming winter storm. 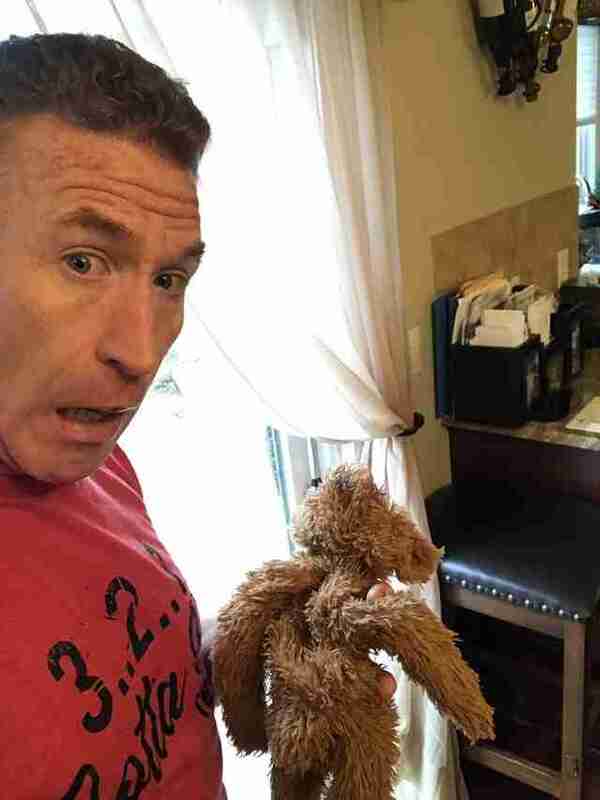 Of course, he took the bear along with him. But, sadly, somewhere along the way, his plush plaything got lost in the darkness and eventually covered by snow. 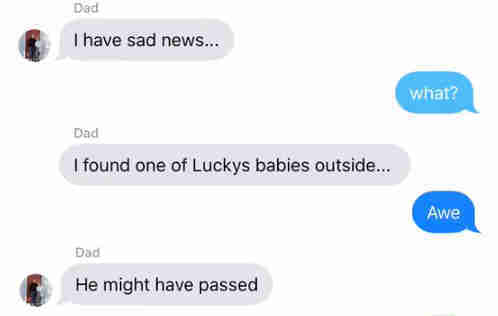 Lucky, presumably, was devastated. 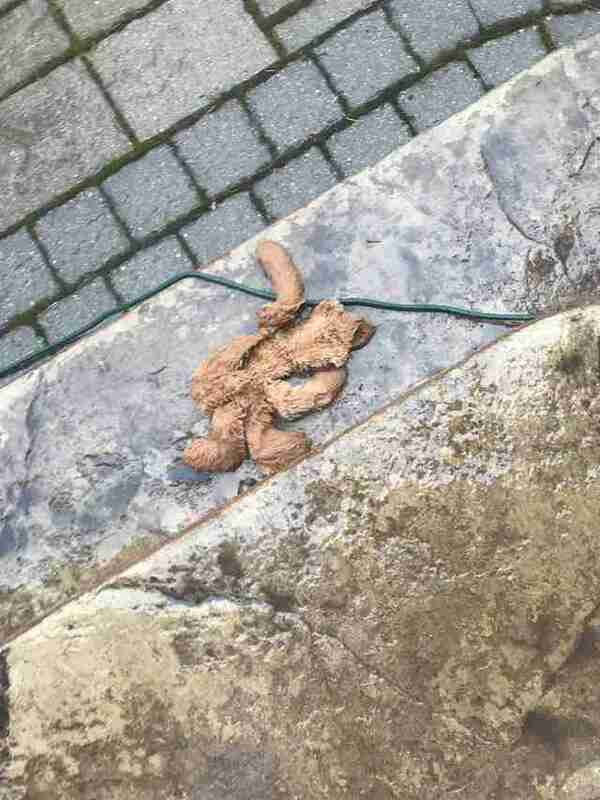 The next morning, after the snow had melted, Wallace's dad found the bear in a very sorry state. 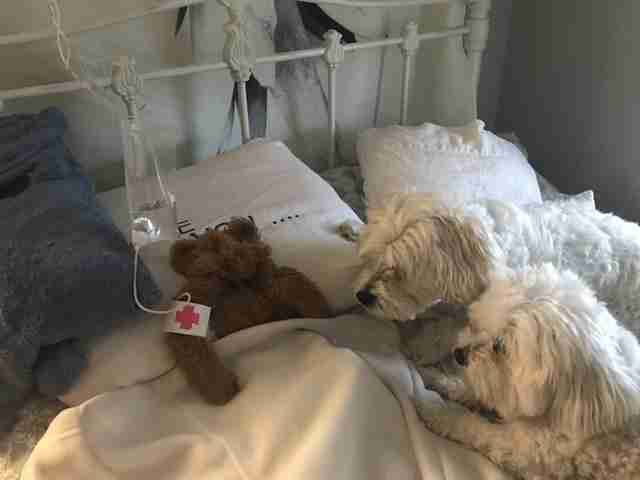 Knowing just how important the bear is to Lucky, Wallace's dad refused to give up on it. He brought the sopping wet toy inside and began attempting to "rescue" it. Fortunately, hope was not lost. Wallace's dad kept her updated on the unfolding drama. The comedy didn't end there. Wallace's dad even went as far as setting up a little recovery room, complete with a faux IV drip, where the stuffed bear could rest and regain its strength. It was then that Lucky and his sister Laci were allowed in for a visit. Fortunately for Lucky, his bear pulled through just fine. The happy pair has since been reunited for good. "He is fully recovered and happily back with his protector," Wallace said. As for her dad's creative way of making the most of the incident, turning an otherwise mundane matter into something to smile about, it's hardly surprising for Wallace. He often crafts amusing stunts like this, she said, simply to elicit a laugh. And, of course, their pups deserve to be in on the fun, too. "Lucky and Laci love my dad and he is the same way towards them," Wallace said. "Our dogs mean so much to our whole family and everyone who meets them adores them."